Parkrun – a new religion? Let me tell you about the Saturday morning ritual that is parkrun (www.parkrun.org). A free event, parkruns are staged all over the country (and now, internationally) at 9am every Saturday. With only three paid employees, it is a remarkable story of how a wad of enthusiasm, a pinch of technology and a sprinking of social media has created a truly game-changing experience for thousands of people. If I was so minded, I’d call it the Big Society at work. It all starts with the race briefing. Newcomers, the week’s volunteers and those winning trophy shirts for completing lots of runs are all applauded, the sponsors are thanked and the details of any post race cakes are spelt out. There is a vital unstuffiness about the whole thing which results in many people attending who would otherwise be put off by too much sinewy lycra and bustling (but well meaning) officials. Whilst all parkruns are 5K long, of course, each parkrun is different: in our time, Karen and I have run round sports pitches, an old airbase from the Cold War, parks and a steam railway. However varied the surroundings are, each parkrun has the same effect on me. The start hooter goes, and I’m away in a joyous whooosh, thrilled to be gambolling in the countryside and not cooped up in the office. A swift realisation that I am 46, not 26 quickly brings about some sanity, my pace dropping to something manageable. A third of the way in, my early discipline leads to fatal over confidence: this is the week that I break out of my mediocre boundaries and, miraculously without actually doing any training, leap to another level. This feeling tends to last about another third of the race, before I get the creeping sense that I am, in fact, going to die. One-and-a-half-kilometres, something that felt like a trifling bagatelle at the gambolling stage, now goes around my head like “hamburger” must have done for poor old Captain Oates. I feel the hot breath of those I breezed past getting closer, “I told you so” seemingly on their lips. The line drifts into view, prompting a final desperate dash to salvage my time. I collapse into the tunnel, clutching my position token, vowing never to do it again. Queuing to have my time recorded (they use an elegantly simple system of barcodes) the first tendrils of endorphins creep in, lending my hopelessly misjudged efforts a heroic hue. I am now convinced of the rightness of my cause, like an evangelical being born again. The religious analogy works more generally with parkrun: every week, congregations join together in their struggle to better themselves, leaving refreshed and renewed. No doubt many will recoil at such a trite link, but I could think of worse ways to get together. After all the exotic excitement of the Trans Siberian and Japan, I have settled for a familiar location with very familiar company for the last leg of the Great Relaxation. 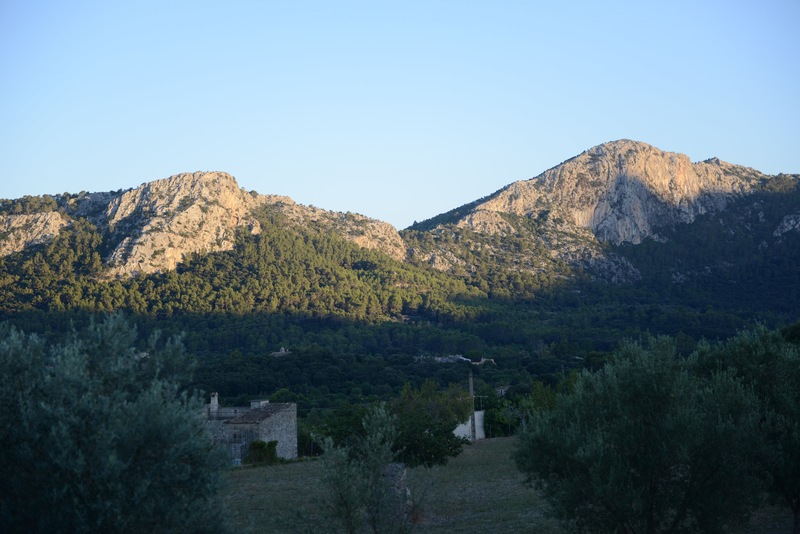 Majorca is a favourite family haunt: it has great beaches, stunning mountains (they are not very high, but have mountain-like peaks – is there a minimum height for a mountain?) and dependable dry heat. In many ways the story of our Majorca is intertwined with its namesake, Majedie: We have been coming here almost every year since the business was well enough founded for us to afford the outlay of a villa with a pool. Drinking in the mountains in the evening light (so different from the ubiquitous tablet/computer/smartphone screen) has always represented the real year end for me, taking me away from the minutiae of each daily business challenge, each small ball dropped and allowing a proper taking of stock. And, thanks largely to the efforts of my colleagues, that stock has risen steadily from those early days. How thrilling. There is also time for proper reading outside the straightjacket of the pink pages: I have read David Kynaston’s excellent series of social histories on post war Britain, Anna Funder’s astonishing book on the East German secret police, “Stasiland”, Max Hastings’ book on the end of the Pacific War, “Nemesis” and Robert Service’s History of Modern Russia. Oh, and the book that all us middle aged men read, “Stalingrad” by Anthony Beevor – the fifty shades of grey for husbands. Another ritual unique to the Hazlitt sojourn in Majorca is the crossword. Due to the aforementioned pink page (and Economist) straightjacket, and the fact that I am, frankly, monosyllabically tired by the end of each working day (what a delightful husband), these “mind games” (as the excellent Times iPad app calls them) are not attempted at any other time. It is with great gusto that Karen and I open the relevant page each morning, dreaming of its subjugation by lunch. Oh no. With every passing year we seem to get worse, or at least the setters get more fiendish: you have odd clusters each day, where knowledge of Greek philosophers will get you three clues, and, bizarrely, three clues all asking for a “small burrowing animal (6)”. Then there is the classic mangling of the typeface on the app whereby apostrophes become a^, or maybe it is meant to be? Hmm. All in all, we gently drift away from it as the morning progresses, the siren voices of google ringing in our ears. Perhaps it will keep the Alzheimer’s away for another year. ‘If you wake u… on The Train!